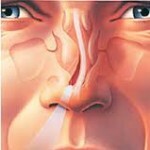 Home » General Articles » Will Yoga Help With Deviated Septum Side Effects? Can yoga help to ease the various symptoms of a person suffering with a deviated septum is a question which cannot be easily answered. While purists of science feel the best treatment for a deviated nasal septum is surgery or medication, Yoga advocates believe in a mixture of Ayurvedic medicine and breathing techniques (pranayama). A Deviated Septum is a condition where the thin wall inside the nose, which separates the nostrils, gets displaced in one direction or one side. This results in a blockage of one side of the nose. Many secondary complications such as nose bleeds, recurring sinus infection, and congestion can occur. 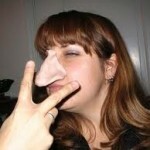 This condition is caused due to either birth defects or due to a permanent injury to the nose. While you may think that surgery is a better treatment option since the condition is anatomical in nature, surgery is quicker and only one treatment session is required. But yoga with its plethora of breathing techniques will soothe your uneasiness and will also effectively cure your side effects caused by this condition. Thus if you do not want to go under the knife for whatever reason, yoga offers you a second choice. A girl performing a pranayama exercise. 1) Abdomen Breathing Exercise: This first exercise is for your abdomen, breath with your abdominal muscles. Ensure that your abdomen rises with each and every breath of air. Keep the air inside for a period of 5 seconds before exhaling. 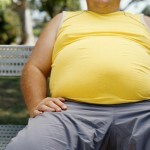 Again ensure that your abdominal muscles are contracting. 2) Chest Breathing Exercise: In this pranayama, ensure that you focus on your chest and its movement when you breath. Inhale and exhale with a huff and puff, also make sure to keep the air inside your lungs for a minimum period of 5 seconds. Repeat the same exercise 20 times. 3) Hybrid Chest, Abs: This technique will require much more concentration and focus, thus it should be tried after mastering of the above two techniques. This techniques is a mixture of the above techniques, here while breathing both the chest and abdominal muscles should be used simultaneously. Start by using both your chest and abdominal muscles at the same time, keep the air inside your lungs for 5seconds, and use both sets of muscles while releasing the air. 4) Rapid Breathing Technique: Also known as fire breathing technique, here you will take short and rapid breaths, all of these should be done in quick succession. When inhaling, take a long breath. While exhaling, exhale rapidly about 20 times through your mouth. These are many other yoga exercises which will help you to fight against the side effects of a Deviated Septum. The effectiveness of yoga has been proved since centuries. So give yoga a try, you may find that you no longer need surgery or medication.